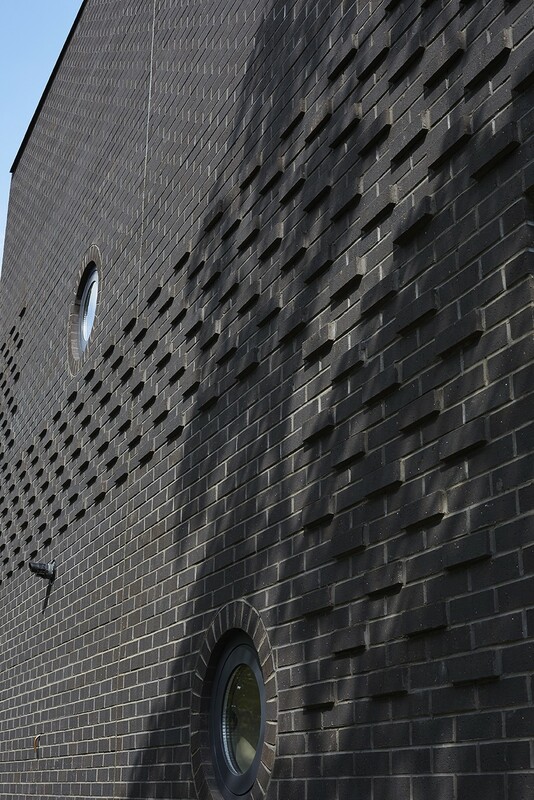 Studio Verve has been selected as a finalist in 2016 Brick Awards. 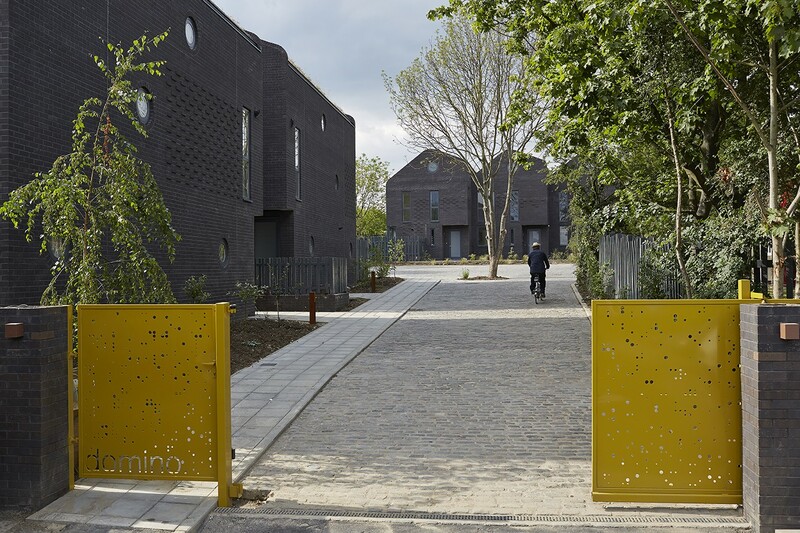 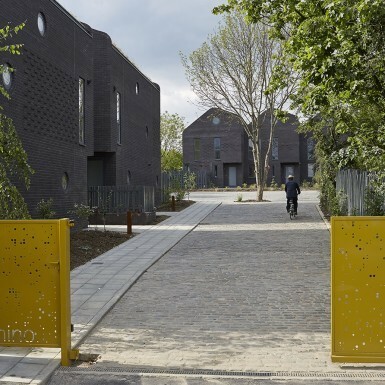 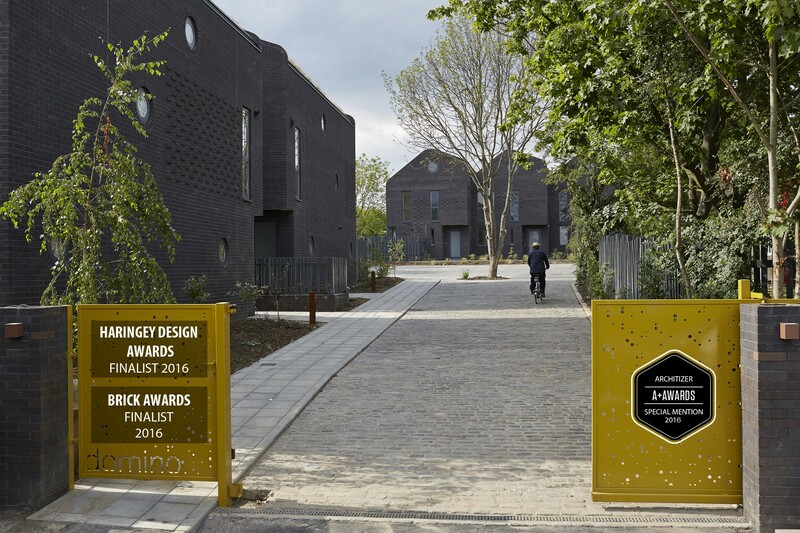 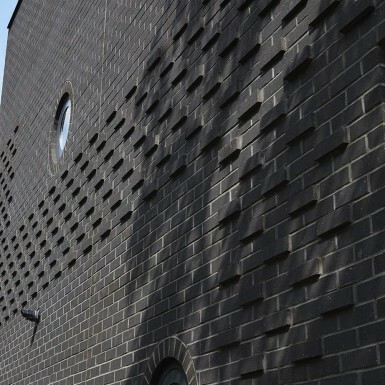 Studio Verve wins Special Mention for the 2016 Architizer A+Awards for Architecture+Bricks for Domino Houses in London. 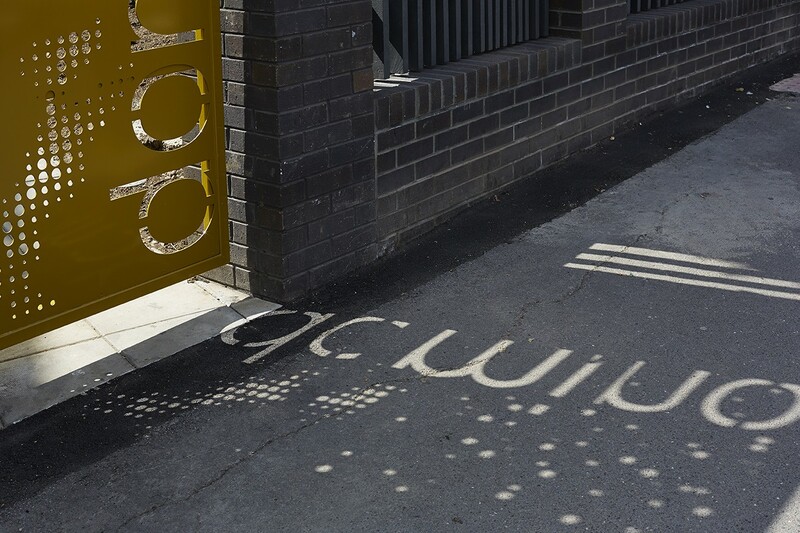 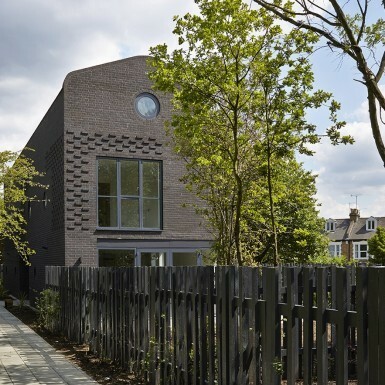 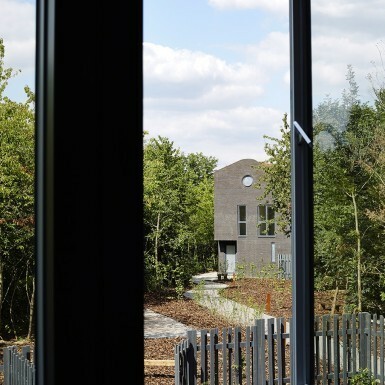 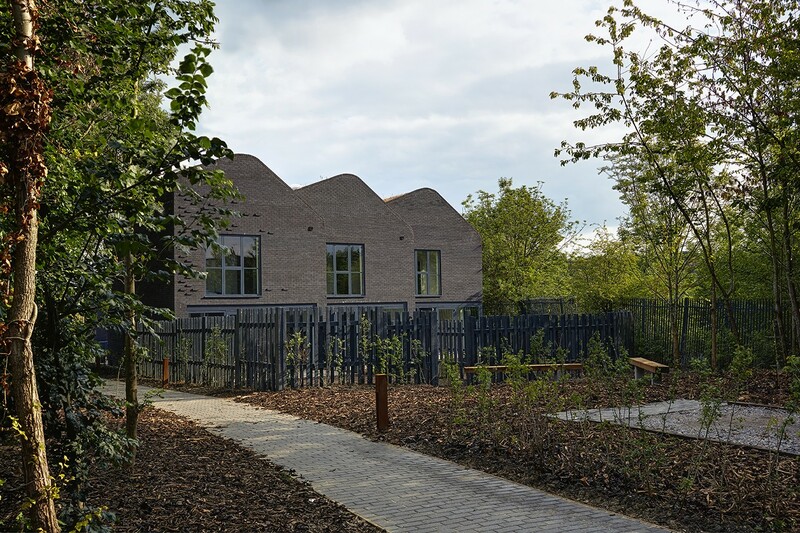 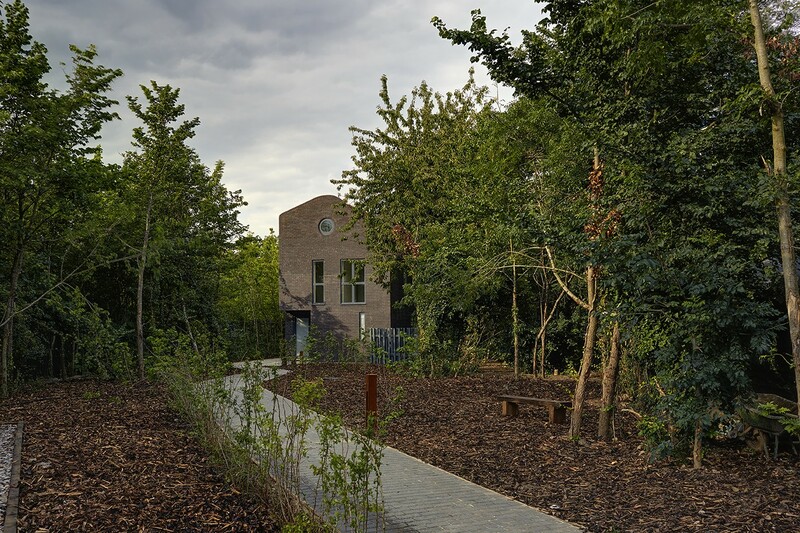 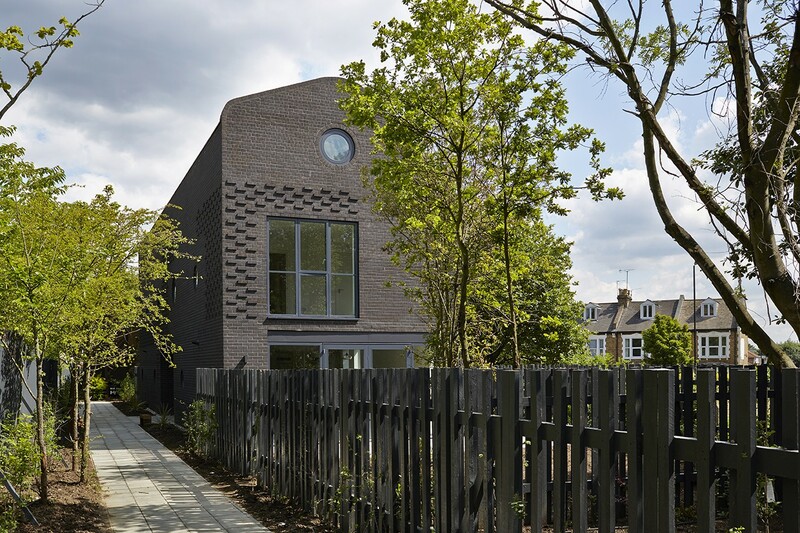 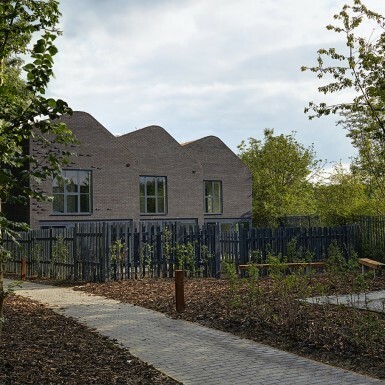 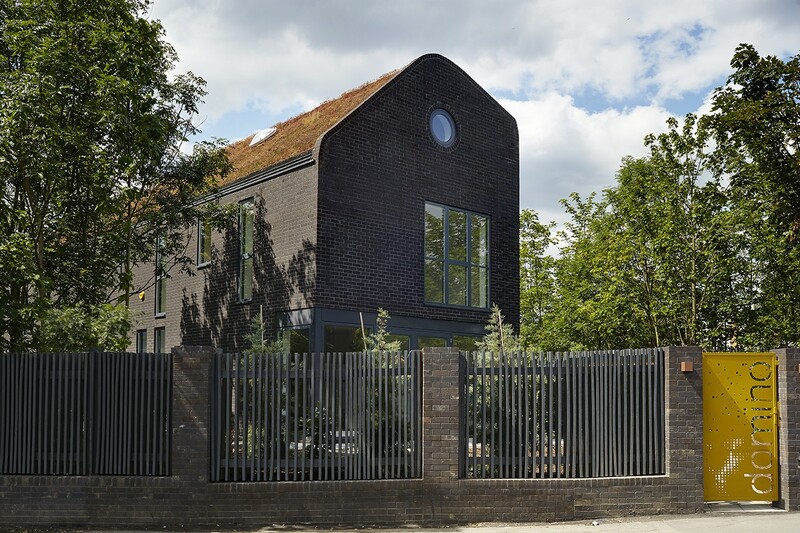 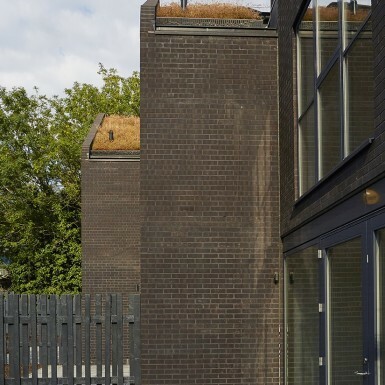 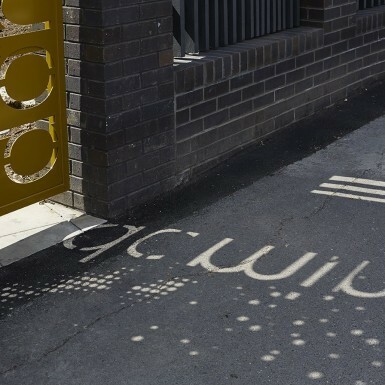 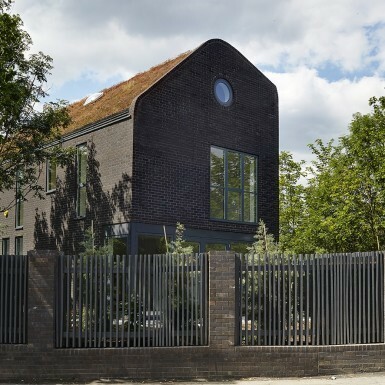 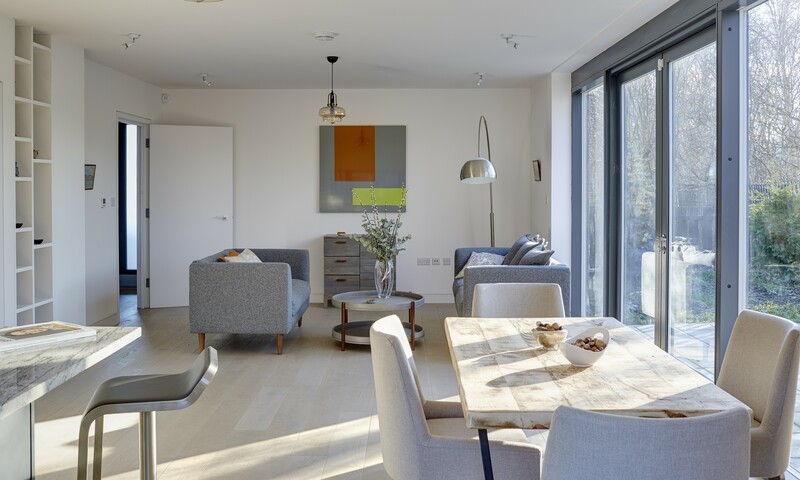 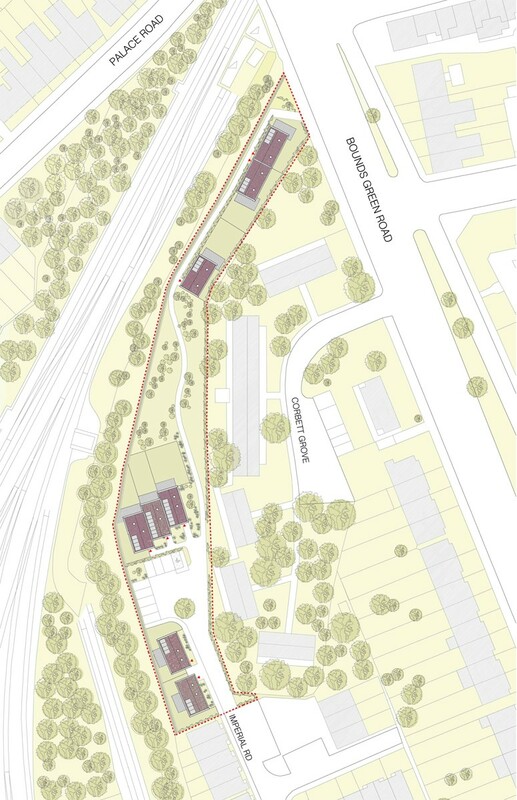 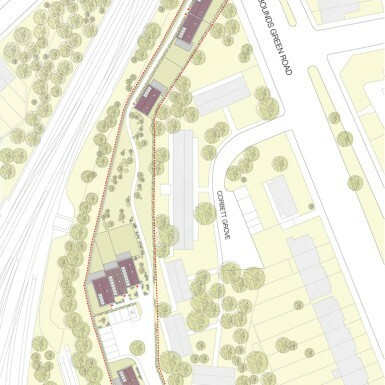 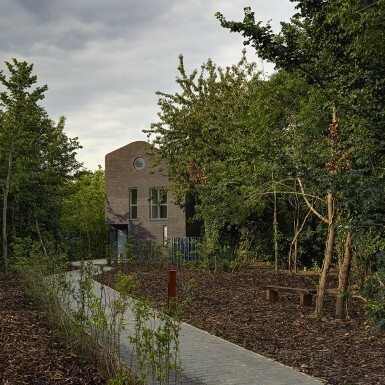 Located within a strip of back land along the railway in Bounds Green, the development of eight new houses is planned around a central section of woodlands. 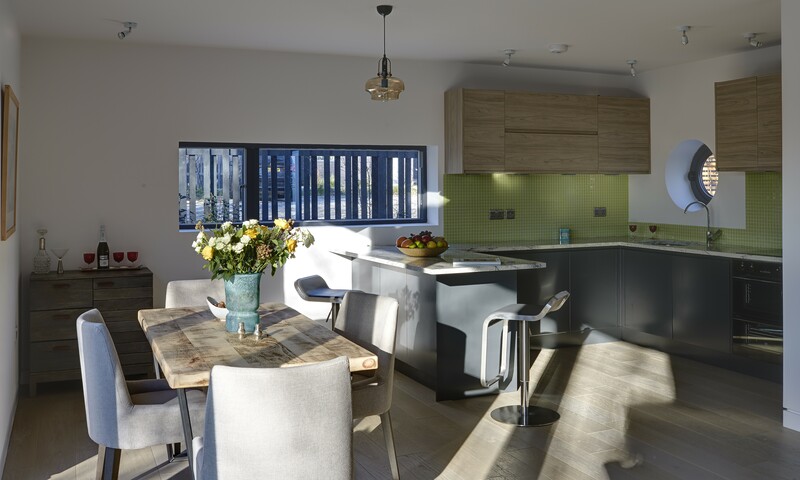 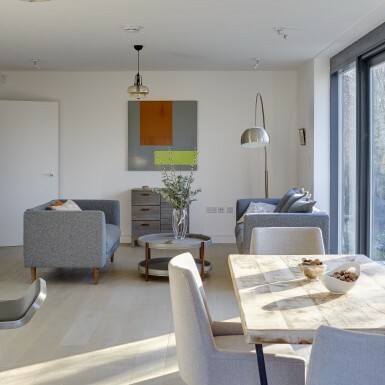 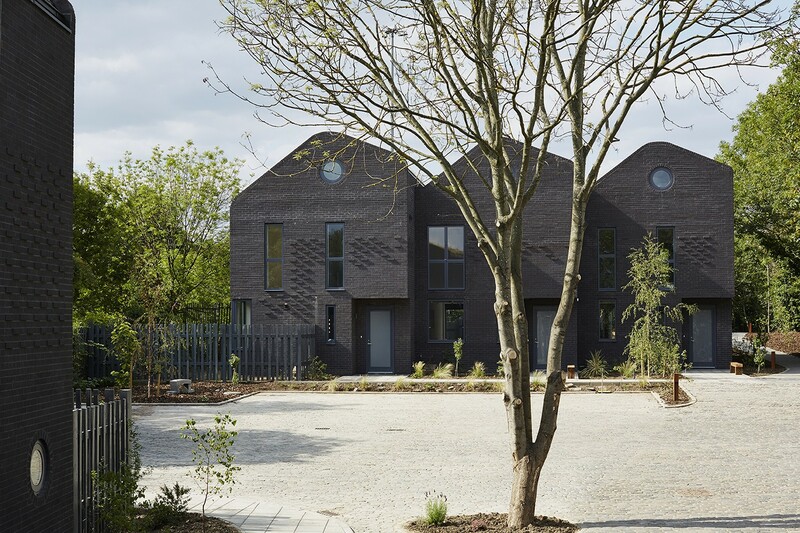 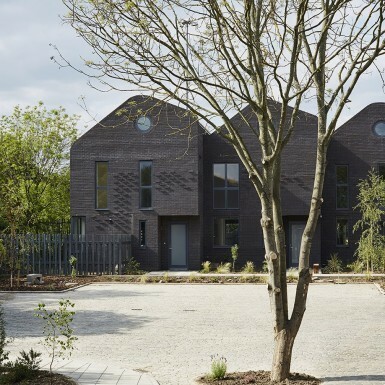 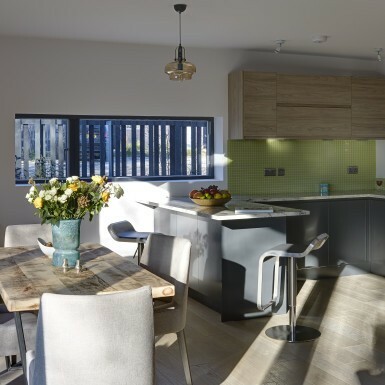 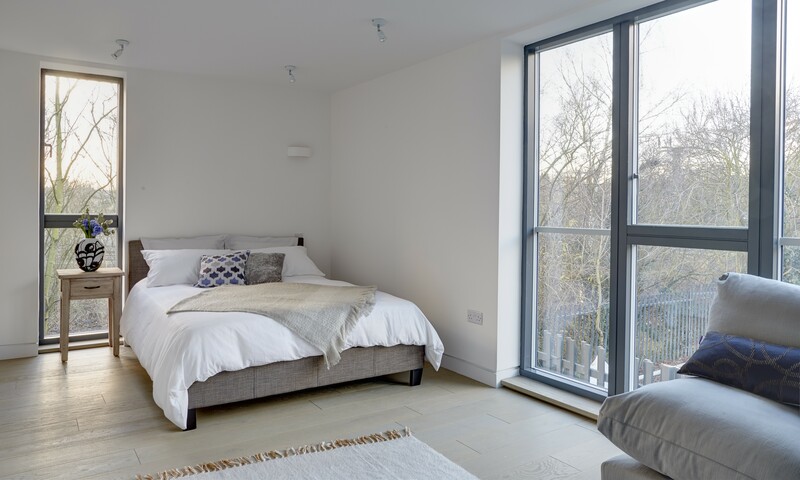 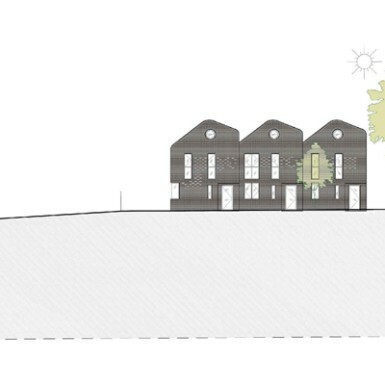 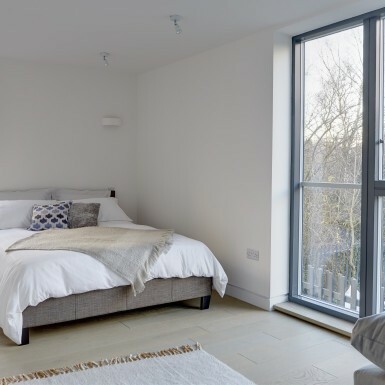 The houses are a mix of linked, terraced and standalone properties, sitting within well-landscaped surroundings – carefully positioned to ensure privacy. 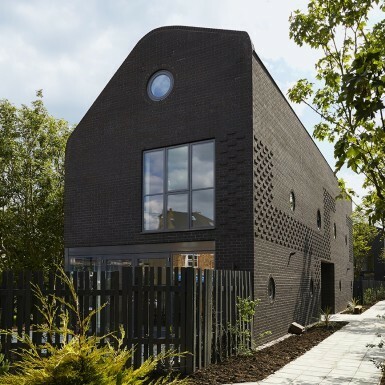 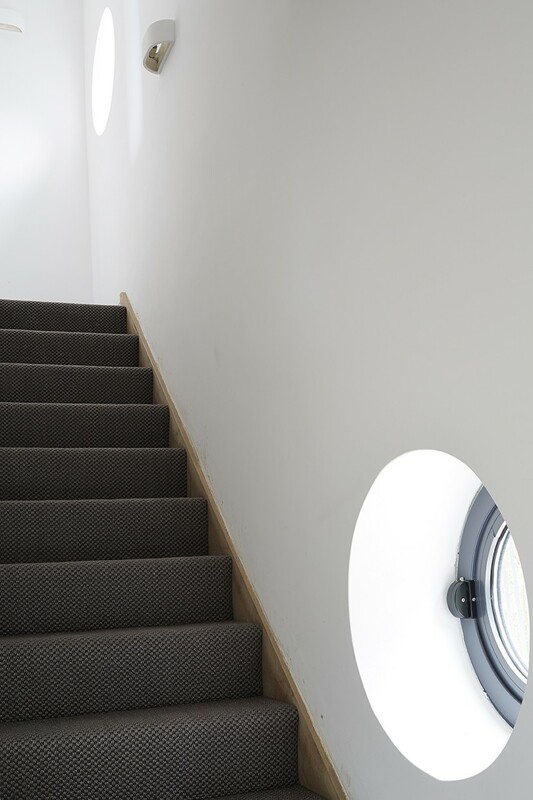 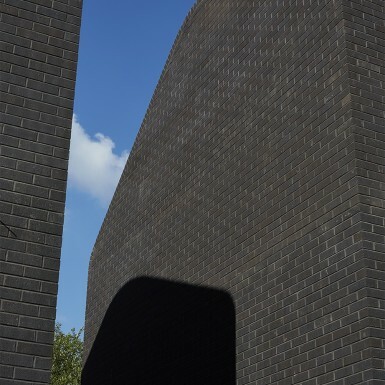 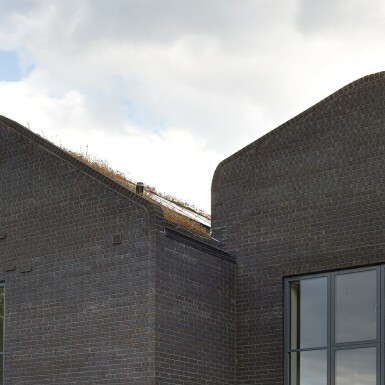 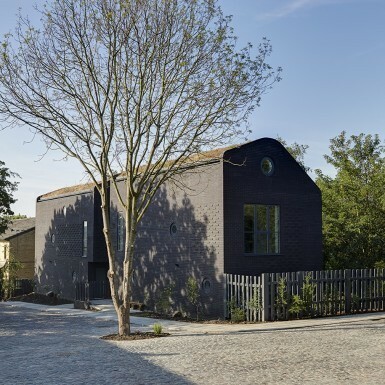 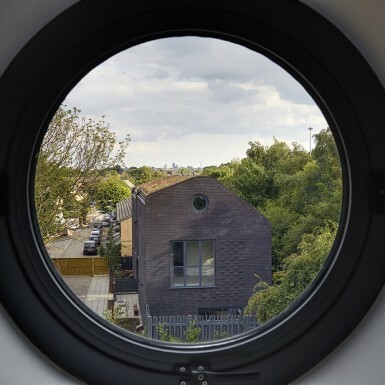 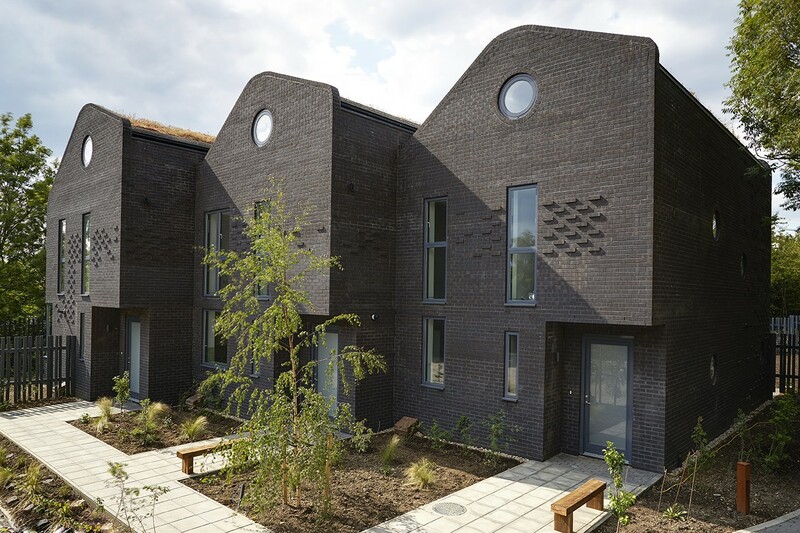 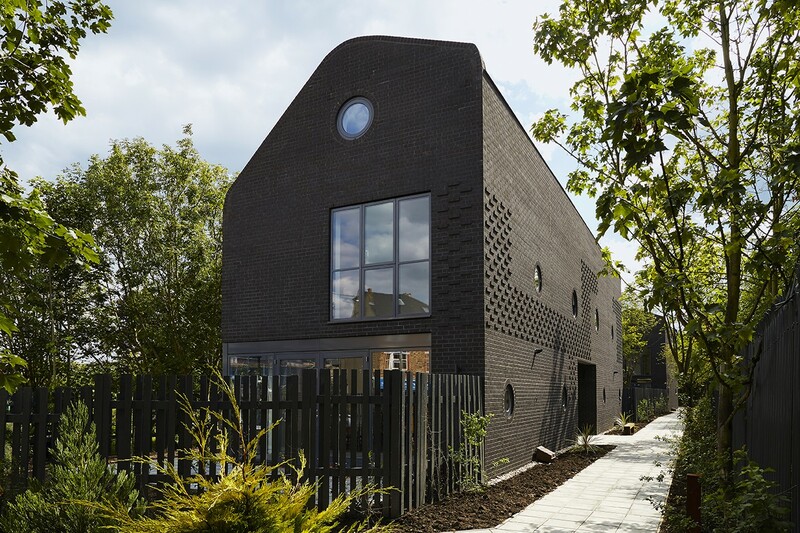 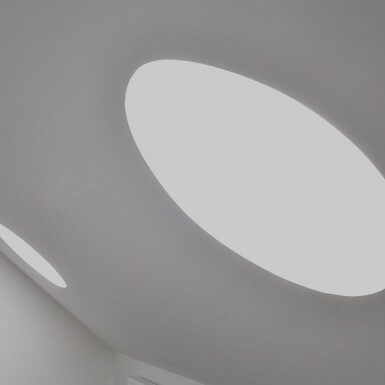 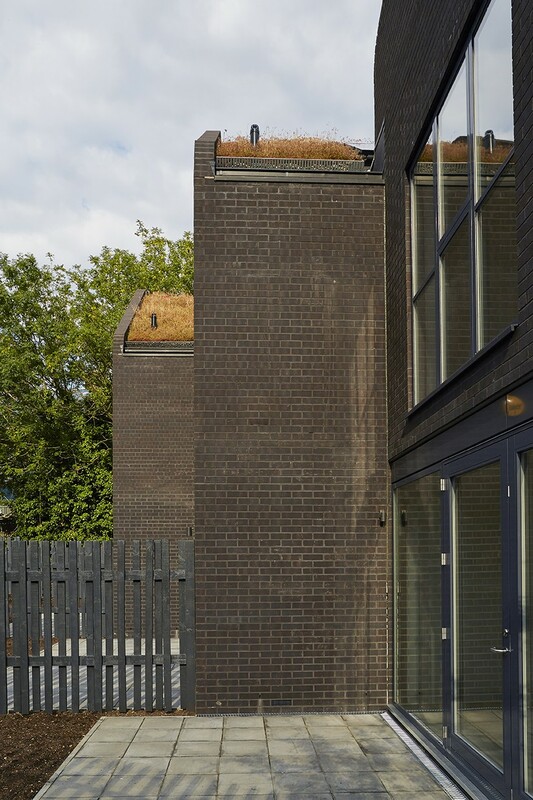 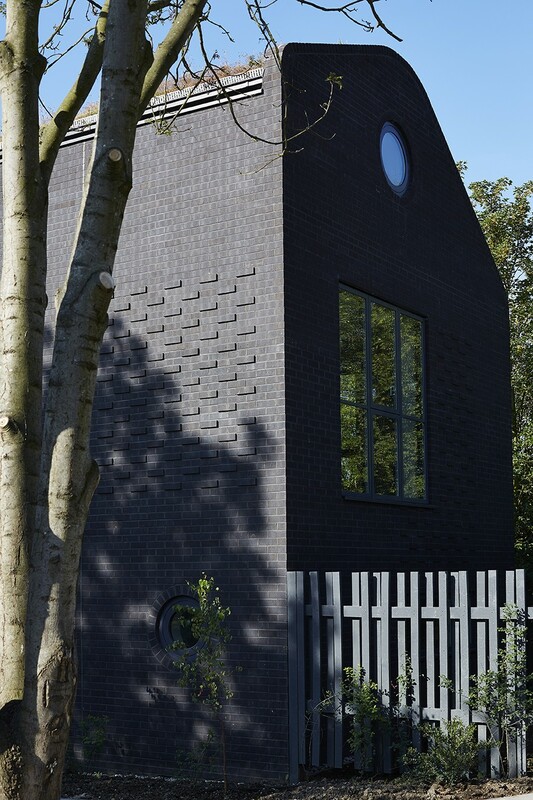 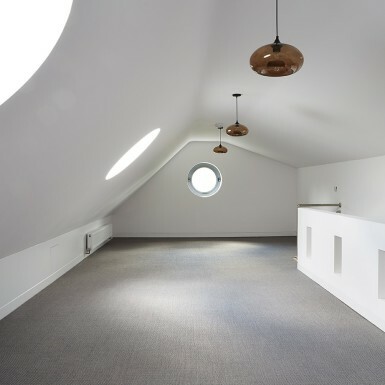 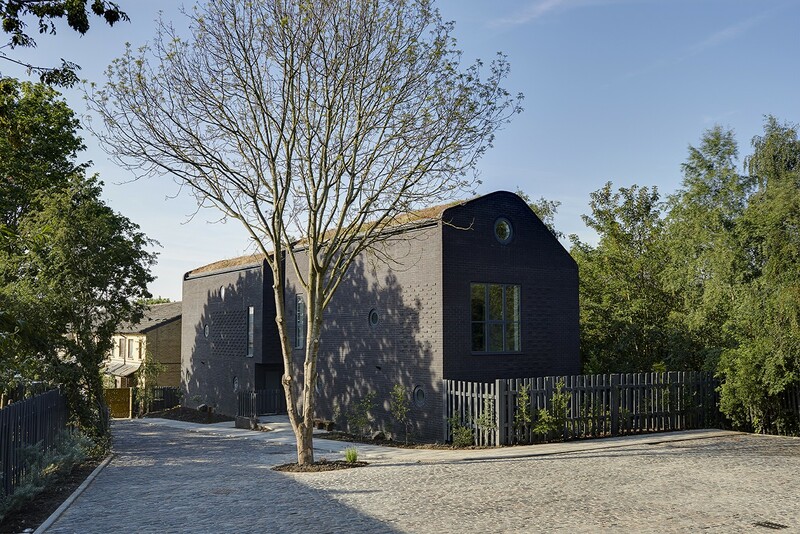 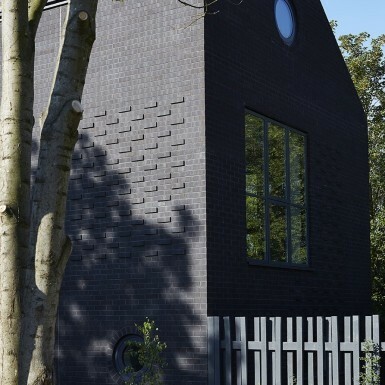 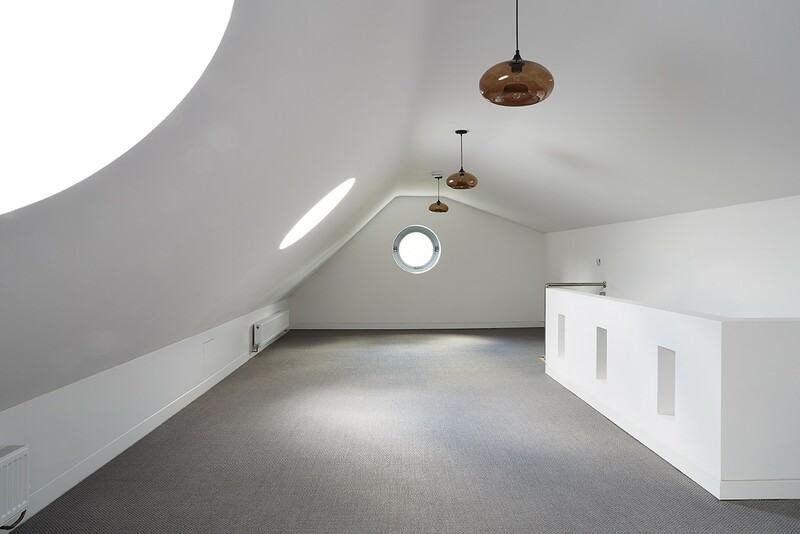 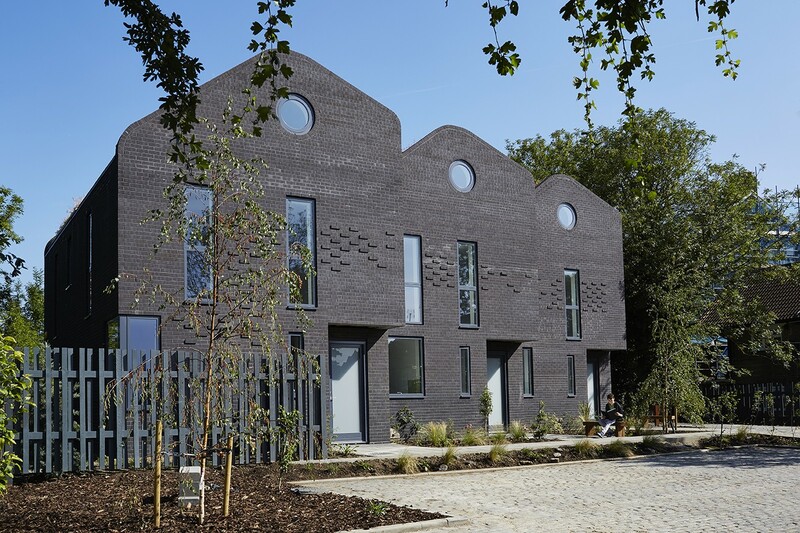 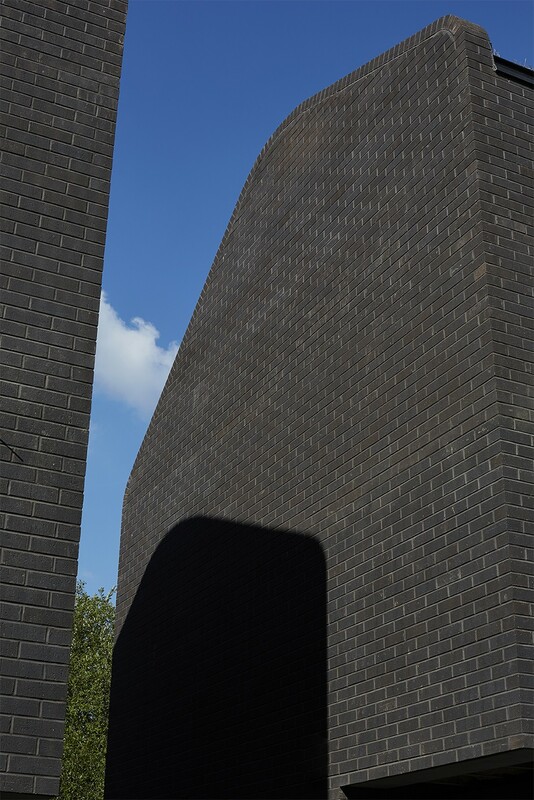 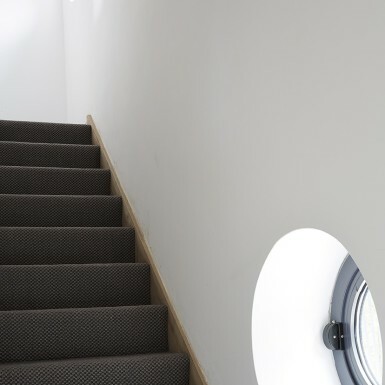 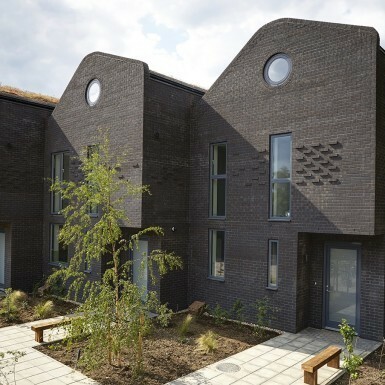 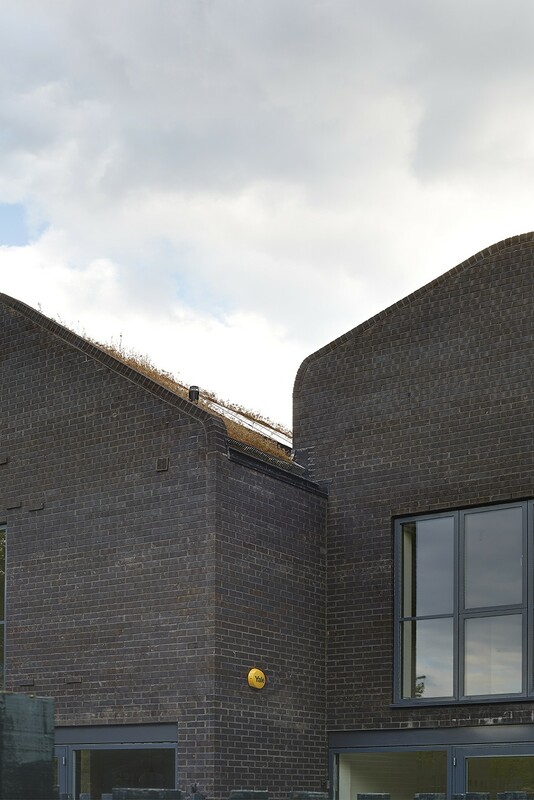 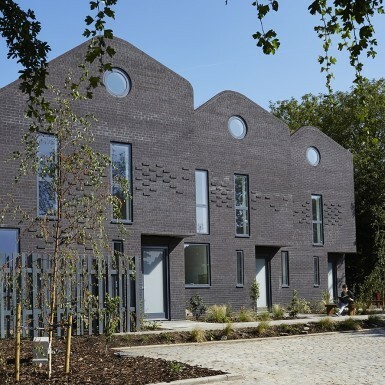 The houses are conceived as a monolithic black brick envelope, with a curving green roof and domino language of circular porthole windows dotting its façade. 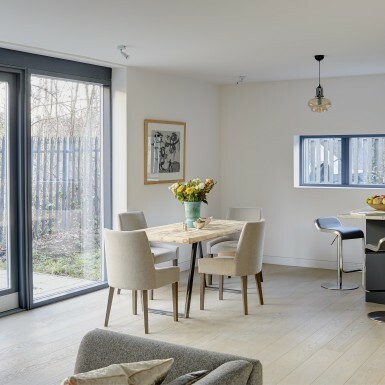 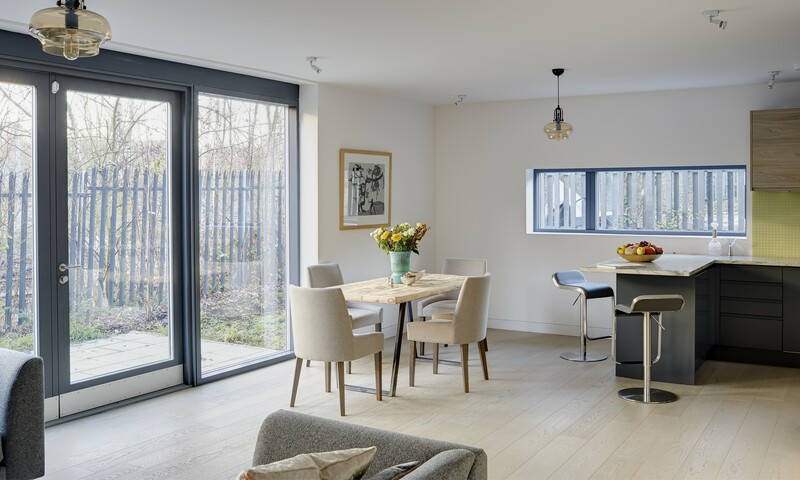 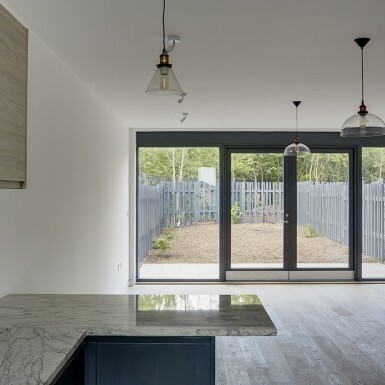 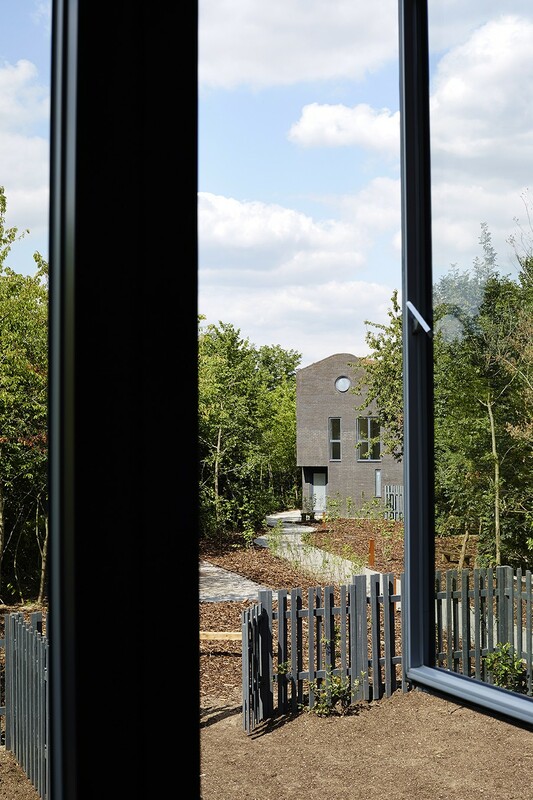 Generously glazed patio doors open onto private gardens with views over the woodlands and to the green buffers of the railway tracks. 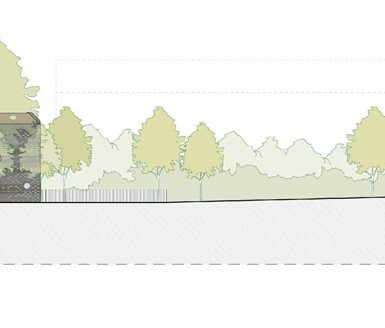 Many of the existing mature trees are kept along with the planting of new fruit trees planned to encourage a well-landscaped development. 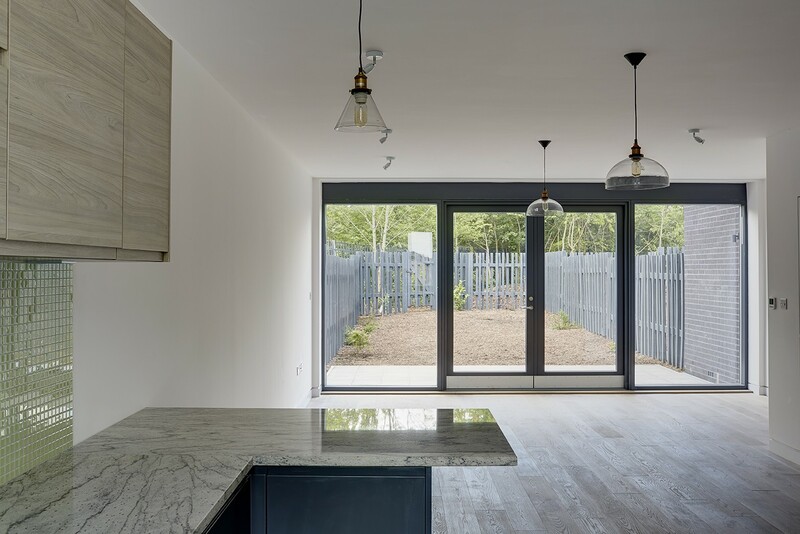 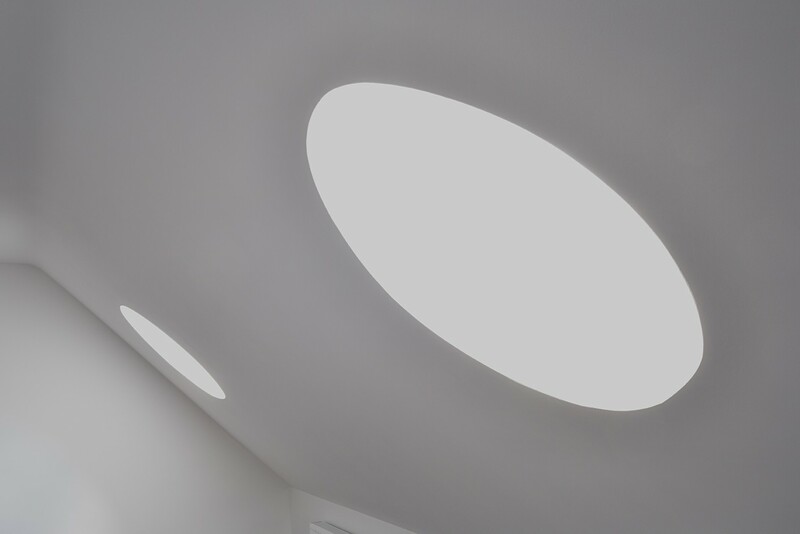 Photovoltaic panels are utilised to tap solar energy, while the envelope is designed with minimum U-values to achieve Code 4 Sustainable Homes.